It was announced in March 2009 that Nike had signed a deal with the Club to supply their kit for the next four years, starting with the 2009/10 season. The deal included the selling of Nike merchandise through the Club shop, which became operated by Nike UK's Just Sport football provider. As well as being the first kit under the new Nike deal, it was also the kit for United's centenary season, sporting a specially designed centenary Club badge, designed by Club Official Joe Rice. The commemorative crest now featured a distinctive green outline on the inside circle which followed the ribbons on the left for 1909 and right for 2009. The Lion Rampant had touches of gold and a further green outline encircled the edge with 'Centenary' reinforcing the commemoration. With black shorts and tangerine socks, the top was a return to the plain all-tangerine, with no black or white flashes. The "Dri-Fit" design, a Nike innovation, was intended to keep players drier, cooler and lighter by drawing sweat from the body to the fabric's surface. 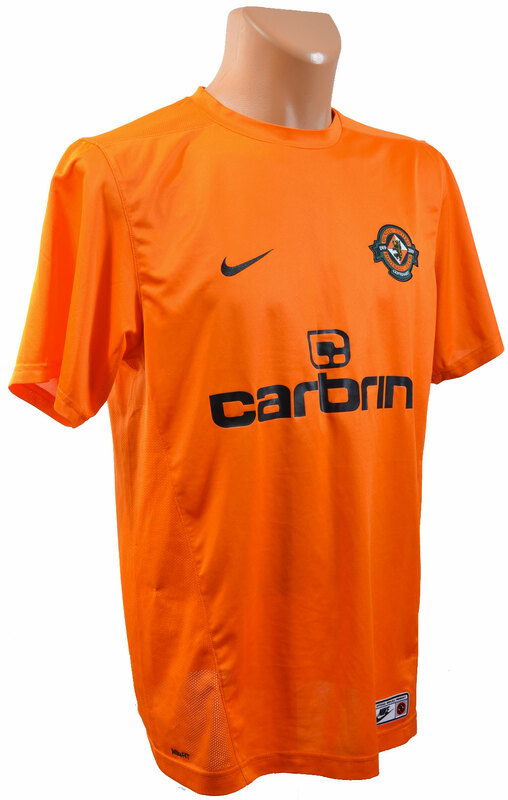 The kit sponsorship from JD Sports continued on from the previous season, specifically the youth brand of Carbrini Sportswear, with a change in logo design from boxed to plain text. In addition, Dundee based cosmetic car repair specialists DENTS8 agreed to a 2 year sponsorship deal, featuring their logo on the shorts and socks of the kit, and a new version of the Fat Sams logo appeared on the shoulders of the shirt, this being the third consecutive season that the Dundee Nightclub had sponsored the shirt. Although the kit was first worn competitively against Hearts on Monday, August 17th, it actually had made its first team debut in a friendly match against Drogheda United on Monday, July 20th. 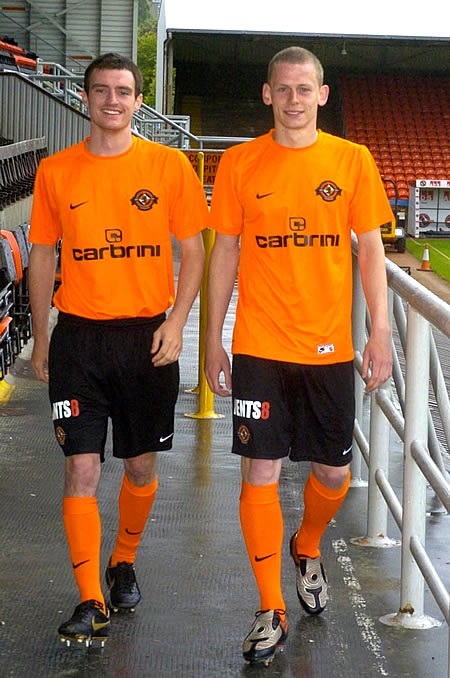 Most notably, this was the kit worn by David Goodwillie and Craig Conway as their goals helped United win their second ever Scottish Cup win, defeating Ross County 3-0 in the final at Hampden Park on Saturday, May 15, 2010.